Picture this – pouring (and I mean torrential!) rain as we run, lost, down the centre of Lisbon looking for our accommodation, no umbrellas and with suitcases and kids in tow! Luckily we could laugh about it and we ended up finding our apartment eventually after being dropped at the wrong end of the street by the taxi driver! Fortunately this was the only rain we experienced during our January visit and by the end of the 3 days we had there we had explored many of its sights and attractions. As always, some worked with kids and some didn’t, so read our guide to help you plan your trip. 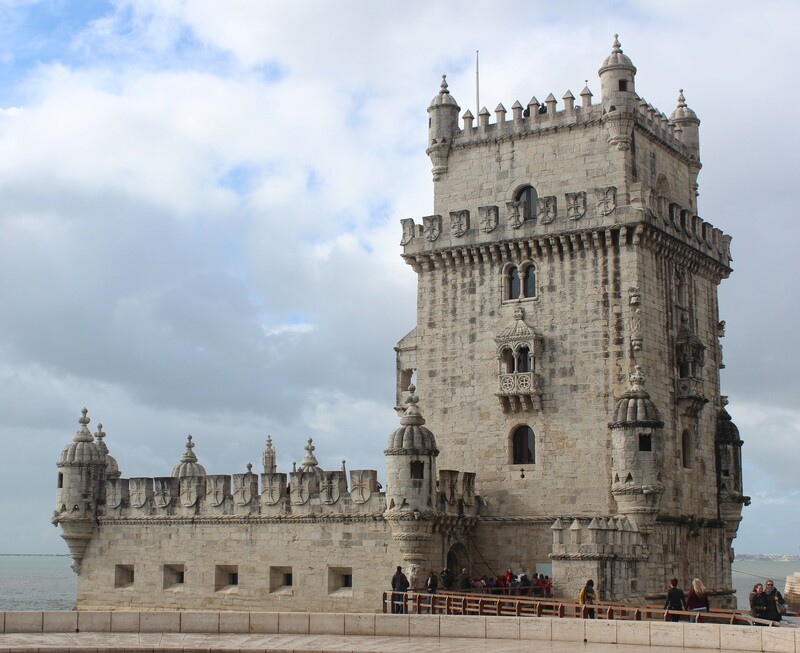 I am embarrassed to admit that I knew very little of Lisbon or Portugal before we visited. But maybe this is why we travel – to discover new things and explore different cultures and experiences. 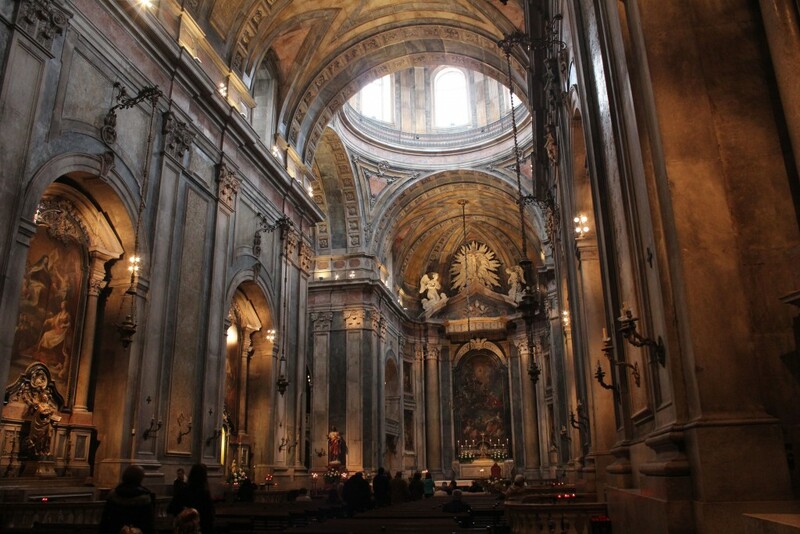 We weren’t disappointed, Lisbon is a beautiful city that loves kids – so I encourage you to add it to your travel list. Like so many European capitals, Lisbon has a long history and even has evidence of habitation right back to the Bronze Age. It is isn’t one of the most well known European capitals but as we discovered, it has many wonderful sights and is a family friendly city to explore. It has quite hilly and so you need to know the tricks and tips to avoid too much “my legs are sore mummy!” But fortunately, the Lisbon people have figured this out over many years and the public transport provides numerous solutions for almost all of the steepest ascents. Due to its southern position, Lisbon has a very temperate climate and so you will enjoy good weather most of the year – so anytime is a good time to visit Lisbon! We debated over this point for a long time. It is always an apartment for us, but the neighborhood was the key question we wanted to get right. In the end we stayed in the centre of the Baixa neighbourhood. Our research indicated that this was a good spot to see most of the sights from and was well served by public transport. Baixa has a collection of perfectly aligned streets whose cafes and shops have made it one of the most animated areas of the city and it is nice to walk through – and safe for the kids given its numerous pedestrian only areas. Also very pram friendly and close to all public transport options! 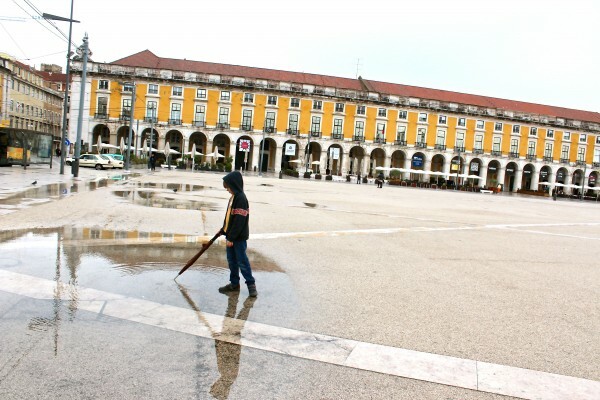 Ok, this is surely the number one thing to do in Lisbon – with or without kids. Lisbon is famous for its trams which traverse all over the city and help the residents get from A to B up the very hilly streets. Of the five main routes there are two which are most useful when visiting Lisbon. 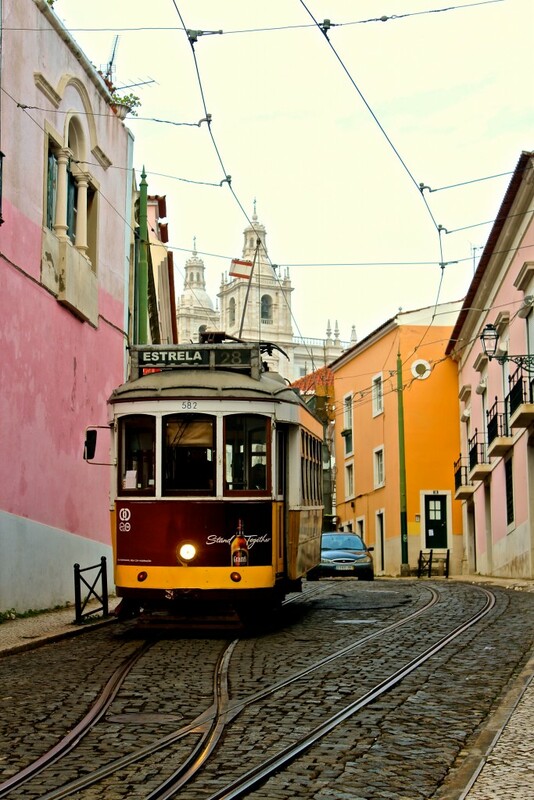 The number 15 tram provides a link from central Lisbon to the charming Belém district while the number 28 cuts through the Alfama district and is the popular tourist ride. Tram number 28 is famous as it is a great way to see the most beautiful and oldest parts of the city without having to walk too much. The best and most cost saving way is to buy a day ticket (free for under 5s and €6.50 for adults/kids over 5) which allows you to hop and off as you wish. You must pay for the Viva Viagem card first which is a reusable and reloadable ticket first. After you have paid the €0.50 for that card you can load it with the day pass for as many days as you wish. It also gives you access to the cities numerous funicular railways (for the steepest hills!) and Elevador de Santa Justa which are otherwise quite expensive to pay for separately. The tram drivers can be a little crazy and since the route is so hilly, it can feel like a bit of a rollercoaster ride! It was great fun and the kids loved it, loved sitting and gazing out the window and the endless stopping and starting and the screeches of joy as the tram trundled up and screamed down the hills. The drivers were friendly and helpful and several people got on with prams of some description. In fact, you could see many of the most important parts of Lisbon by simply using this tram and so I have written below what we found most kid friendly in the various districts that the tram services. Praca do Comercio – playing in the puddles! Want space to admire architecture while the kids run around and burn off energy? Visit the Praca do Comercio, a VAST elegant square enclosed by bright porticoed buildings on three sides and final side opening onto the Tagus River by way of a staircase of the former palace that was housed here. The square is presided over by the Triumphal Arch, a Louis XIV style arch leading onto the most important road of the Baixa district. This square is wonderful for a wander and for the kids to walk off some energy. Also here is the tourist office, who were very helpful in providing maps and suggestions and an underground station where you can buy your all day tram tickets. I have to say that the man at the ‘help’ desk at the underground station was less than helpful and it took some figuring to work out what tickets we were supposed to get. But we got there eventually! It had been raining the day before and kids delighted in jumping in the puddles and chasing the pigeons – because really, isn’t this all kids ever want to do?! The Hippotrip leaves from near here – unfortaunetly it was closed for winter when we came but I imagine it is a very kid friendly adventure! Leave a review if you’ve been. Since we took the tram from the Baixa district which is pretty well in the middle of the Tram 25 route, we first headed in the direction of the Chiado, O Carmo and Bairro Alto districts. These districts are up on the hill and so the tram is advised to save your legs or pram tyres! Chiado has a reputation of being the place where intellectuals gather for a coffee and debate in one of its atmospheric cafes. Estrela Church – worth a look if you can get 5 mins away from the kids! At the end of the tram route we got off and discovered the Estrela Gardens which is wonderful for kids. Playgrounds and space to move and play abound. (On that topic, onetinyleap.com have a great guide on where to find other playgrounds in Lisbon here. The kids fed the ducks and played and used up some energy). Across the road is the beautiful Estrela Church which is well worth a look as it is really beautiful inside although doesn’t hold much interest for the kids. The most picturesque area of the city, the Alfama is a charming collection of zigzagging roads, steep walkways and tiled faced crammed together houses. Back in the other direction on the tram and we went all the way to the other end of the route which takes you to this district. We got off at the end of the route which happens to be at the top of a hill and then took our time wandering down and hill and enjoying it all. I think this is best and reduces the whinging about sore legs! Lisbon is famous for its tiled covered buildings and we delighted in all the different colours and designs and voting and discussing which we liked best. On the way down our walk we stopped at the Saint Luzia viewing point which gives you great views over the city. An icecream shop close by kept the kids amused whilst we gazed at the views. The Castle of Saint George (Castelo de Sao Jorge) is also in this district. The castle is of Arabic origin and it sits high up on the hill keeping guard on the city. Kids enter free and once again, the views from the top are magnificent. A small museum inside which is included in the entry price provided some good talking points about the way that people used to live. But by far the boys were most interested in the numerous peacocks which live in the grounds. The Castle isn’t kid friendly per se but it does provide lots of space to move and play and provided an enjoyable hour or so wandering through it. However, I’m wondering if your money is better spent elsewhere and you should just look at the Castle lit up at night from the city below it? Tell us what you think. These two districts sit to the west of the city and are not serviced by the 28 tram. Instead we took the number 15 which takes you along the riverfront and past a number of sights. They use modern trams so you don’t get the atmospheric feeling as you do on the Number 28, but nevertheless it is a good one to get from one place to another. Once again, take a day ticket and hop on and off to your hearts content. April 25 bridge with the Monument of Discoveries on the far left. The Bethlehem Tower (or Belem Tower) sits in the river which is surely Lisbon’s most emblematic monument. This small fortress was built between 1515 and 1521 to control the entrance of the city. We didn’t go inside but enjoyed its beauty from outside before walking along the river. The riverside path is flat and great for prams and scooters and as you walk, you will see the large Monument of the Discoveries which at 52m high and in the shape of a ship emerging from the water. There was a great café just before it with glass walls which allowed us to enjoy a cup of coffee and the kids to run and play outside, within our sight. 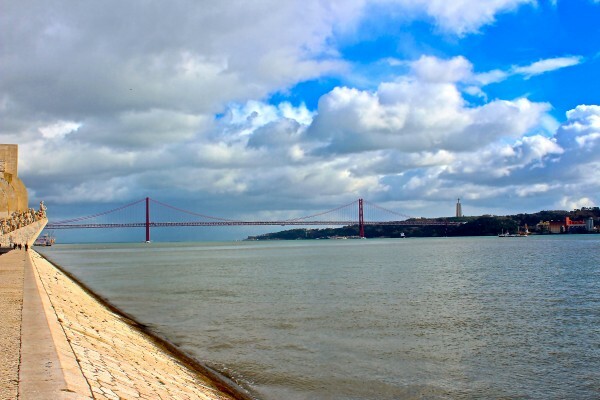 The enormous April 25 bridge spans 3km across the River Tagus. Built by the same company that built the Golden Gate and Bay Bridges in San Francisco, you would be excused for thinking you’d somehow turned up in San Fran! This area also holds the Oceanarium which we run out of time for but which I imagine is a great activity for kids and a great rainy day activity. Tell us what you thought if you’ve been. 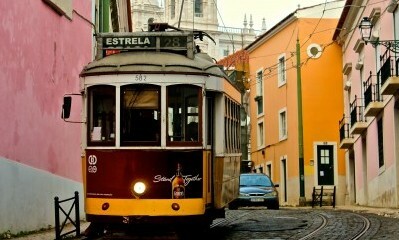 Because Lisbon is so hilly, its residents have installed several funiculars railways to reduce their uphill walks! 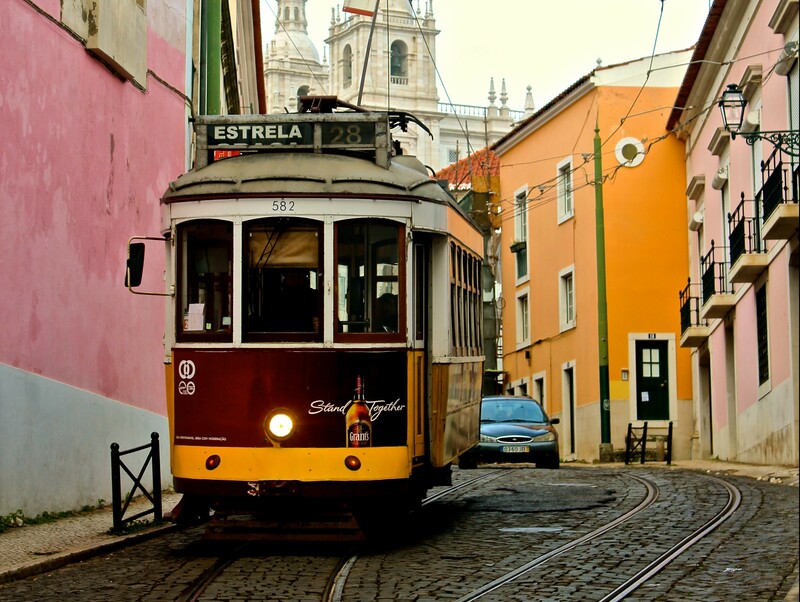 The most popular and photographed street of Lisbon features one of them – the Bica funicular. This funicular climbs Rua da Bica for 200 metres. The scenic ride gives amazing views of the Tagus river and dockyard. The funicular eventually pulls into the Miradouro de Santa Catarina where you can enjoy scenic views of the city harbor and the magnificent Tagus river. In the Baixa district there is the Elevador de Santa Justa which opened in 1902 and was designed by Raul Mesnier, a disciple of Eiffel. As a result it is often called the Eiffel Tower of Lisbon. Unfortunately when we visited it was hidden behind scaffolding as it was being renovated and so we couldn’t admire its full beauty but you could see the ironwork was beautiful. It is 45 metres in height and you can go all the way to the top which provides a great (and safe for kids) view of the city or go to the level below which gives you access to the streets above the Baixa district. We did that and whilst we were there we enjoyed an icecream at the very famous Santini icecream shop, a great place to take the kids and more of a hit with the kids than all the architectural wonders! The Lisbon people were extremely friendly, much more so than I had noticed in many other European cities. They seems to love kids and families and you are very well received and accepted when entering restaurants and attractions. Day trips from Lisbon are also easy and we too one to the nearby Sintra (subject of a separate post – coming soon!) and explored the palaces and parks – great for kids! Lisbon might not be on your list when you’re thinking of coming to Europe, but is very beautiful, very easy to get around cheaply and has a wealth of sites to see. See all our sites in Lisbon here. Have you been? Add what we missed or write your own reviews. © Copyright, All rights reserved. Design and Develop by OpenSource Technologies.